Rat infestation problems are handled in a much different way than other rodents. Rats are highly intelligent rodents and can outsmart the bait station method. Tedious trapping regimes are often required for rats in order to have the desired effects. Hierarchies exist within rat populations where the older and more experienced rats will monitor the younger rats activity when coming into contact with newly placed items such as bait stations. If they see the younger rats die after coming into contact with the poison, they will instinctively avoid those stations, rendering the method ineffective. Trapping has proven to be more successful when dealing with rat problems because it kills more rats in a shorter period of time, and so the older rats cannot predict what’s going to happen until it’s too late. Exclusion will keep rats out of your Atlanta home. During exclusion we go over the home and seal up any gaps where rats may be able to enter, keeping your family safe in the long term. We guarantee our workmanship, for a period of 12 months – with Renewable Lifetime Guarantees! Click to Call Now to speak with a Licensed Nuisance Trapper. EXCLUSION PROCESS FOR RACCOONS, RATS, & OTHER RODENTS. 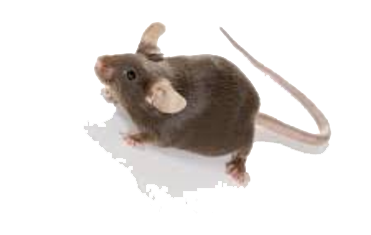 Once our Trappers have accomplished the appropriate steps to get rid of the immediate problem and remove the target rodents in your home, we can then move on to the exclusion process. Rodent exclusion is a procedure that keeps rodents out long term, by sealing up exposed cracks and crevices the pests can access on your home. Most pest rodents have good climbing ability, and so rodent exclusion will involve sealing gaps along the roofline, as well as around the foundation of your home. We will caulk and wire off these spots providing a permanent solution to the pest rodent problem. It takes a great deal of effort and meticulousness to get every gap, but we are licensed seasoned professionals and so the process does not take us as long as it would others. The key spots will be under the corners around the foundation, which rodents and rats will use to enter crawl spaces and attics. 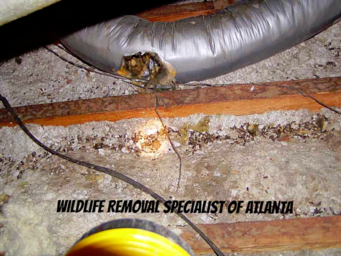 No matter the situation you can trust Wildlife Removal Specialist of Atlanta to get the job done in a timely and professional manner! 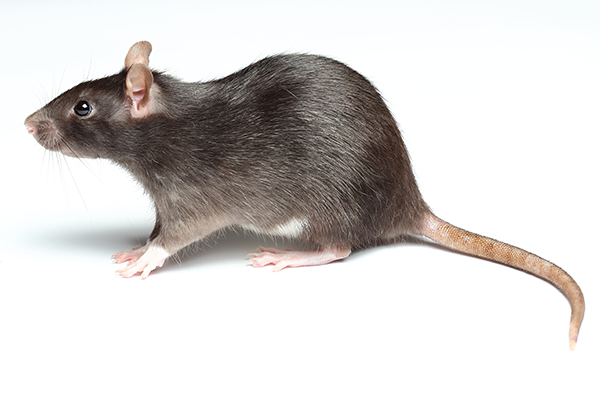 Call us today for rodent control & exclusion services around Atlanta, GA & surrounding areas. Call or Text your local Wildlife Removal Specialist today. Let’s get the job right the first time! Roof Rats: Roof rats are the most common type of rat in Atlanta. They like to climb, rather then burrow, and they live above ground. They are gray or brown in color. Norway Rats: Norway rats are not commonly found in homes in Atlanta. They prefer to burrow outside and are bigger than roof rats. They come in a wide range of colors. Wood Rats: Wood rats build nests out of sticks and debris. They are not found in homes, but some do nest in outbuildings. They are gray or brown in color. Our Atlanta Rat Trapping, Control, and Removal Program is TOP NOTCH! Wildlife Removal Pest Control Trapping Team works hard to bring peace of mind to both our customers and wildlife. We strive to quickly capture, exterminate, and sometimes relocate the rats and mice in the Atlanta area. ​We Recommend having our technicians do all the repairs at the beginning of the job to insure quick capture and freeing your home of rats and mice. Doing the job right is not cheap; however, we offer competitive pricing, with superb results. All Repairs are guaranteed for a period one year, with Renewable Lifetime Guarantees. We also offer attic cleanup and sanitizing. Call us Today – EXPERIENCE MATTERS. Family Owned & Operated, since 1978!